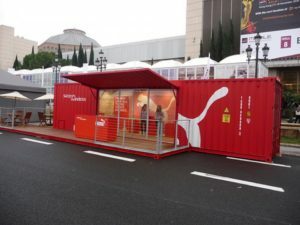 Shipping Container Retail Ideas - Container Professionals Inc.
Now days we are looking at shipping containers in a whole new light! Not just for extra storage anymore although they work incredibly well for that. 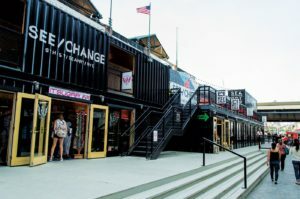 These shipping containers are being used for custom homes, pools, man caves, she sheds, offices and what I have found to be really cool are shipping container retail storefronts. These storefronts offer a number of benefits being self-sustainable, modular, fire resistant, and termite resistant. Shipping containers are easily modified to fit you’re needs and can be prefabricated prior to install. This makes the installation process go much quicker. We’re talking less than 1/2 the amount of time compared to a regular build which can save you a lot of money. 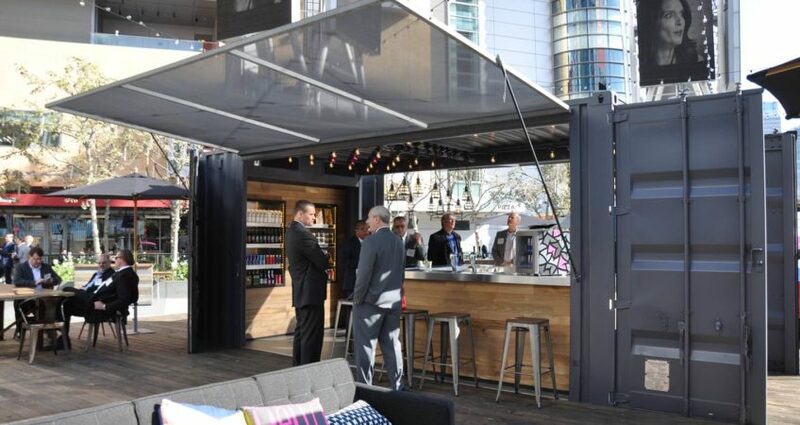 Being able to create decks with stairs leading up to them, to this great screen door installed on the Marriott shipping container bar, these shipping containers have a lot to offer, not to mention the industrial look, which is timeless. If you have a business and are looking to expand or need something modular and self stainable and a shipping container seems like it could be the right fit for you then give us a call and we’d be happy to help answer any questions you have. Container Professionals Inc. is a wholesaler of new and used shipping containers. We are able to make the shipping container available for self pick up from one of the many depot locations across the United States or we’d be glad to schedule with transport and handle everything for you.